Devon has been a part of the Northern Alberta landscape for nearly a decade. 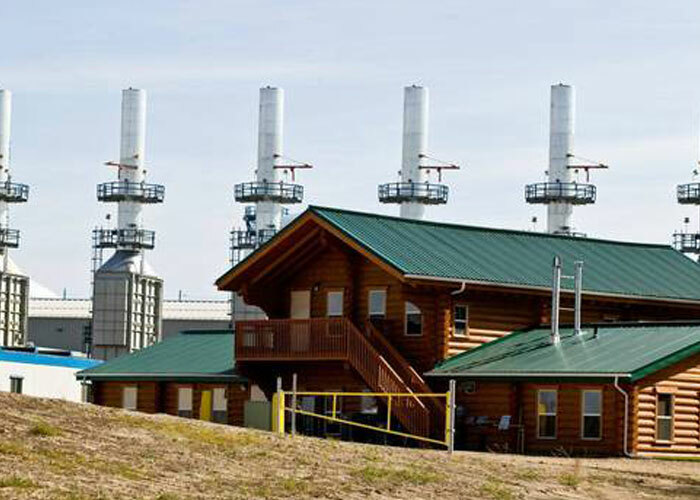 The leading independent energy company launched its first commercial steam assisted gravity drainage (SAGD) operations at the southern end of Wood Buffalo in 2007. Jackfish, which is named for the Cree translation of two local lakes, has expanded twice since then and earlier this year, the three plants collectively marked an important milestone. Devon Canada isn’t just developing its facilities. The company is committed to investing in charitable initiatives that help people, organizations and communities grow and succeed. Six years ago, Devon established three unique grant programs that have helped distribute over $620,000 to schools and organizations across western Canada. Every year, beginning in mid January, community and not-for-profit organizations have the opportunity to apply for Devon’s Investing in People (IPP) grant. Ten deserving groups are then selected, each receiving up to $5000 for innovative projects and activities that facilitate organizational capacity building. In 2015, three of Devon’s IPP awards were allocated to organizations in Northern Alberta. Bonnyville Health Centre received funding to run Calm Mind and Mindfulness Training workshops for employees, Lloydminster Social Action Coalition Society offered four separate training opportunities for its staff, and Lac La Biche Victim Services, an agency that works alongside the RCMP to support victims of tragedy and crime, used its grant for volunteer training and team jackets. Devon also recognizes the value of encouraging budding innovators and contributing to community well-being. The company’s Science Giants grants are offered every spring to schools looking to boost their programming while the Safe and Healthy Communities funding cycle begins in September and supports opportunities to promote safe and healthy lifestyles for individuals, youth and families. In the last two years, H.E. Bourgoin Middle School in Bonnyville has received grants in both categories. By investing in its operating and community communities, Devon is having a positive impact and the company has no intention of changing its priorities. As a member of the Oil Sands Community Alliance (OSCA), Devon is committed to innovative solutions that help to build thriving communities. Together, OSCA members are ensuring continued regional prosperity and community well-being.